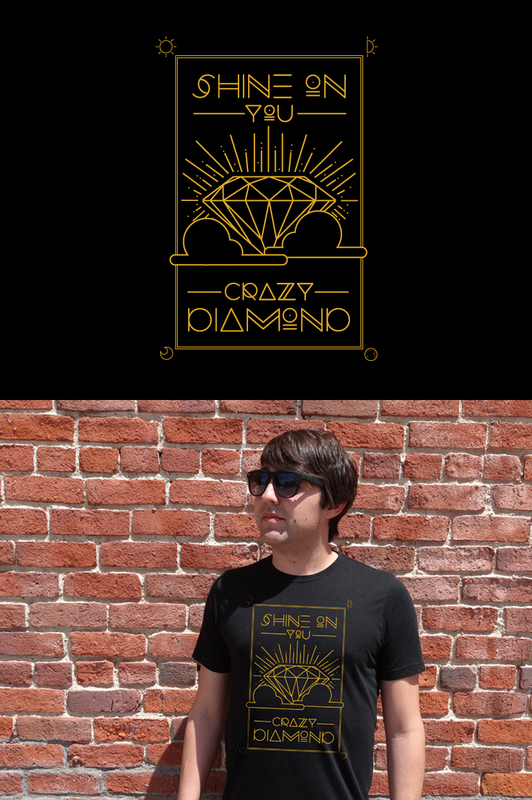 We were asked by the founders of Modern Muse to create a shirt graphic based solely on the infamous Pink Floyd song, “Shine On You Crazy Diamond”. We took the songs witchy vibes and spun it into this awesome web of symbols and lines. Although this graphic was clearly set for garment glory, it got buried in the MM archives and never saw full production. Only a few precious prototypes exist of the true gem, and we’re not giving them up!